The manufacturing industry is slowly becoming a younger job field. The Manufacturing Institute states that 3.5 Million manufacturing jobs will become available within the next decade due to Millions of baby boomers retiring from the workforce in the near future. There are also new jobs created because of organic business growth to take into consideration. These new jobs will definitely be filled by a younger generation that embraces Cloud technology in their daily lives. With a new generation coming into the manufacturing landscape, which contributes over $2 Trillion dollars to the American economy each year (according to the National Association of Manufacturers), they are going to understand that any time or production lost on their shop floor will make a huge impact on many people. This is why it is no surprise that 80 percent of large North American companies have implemented or are planning to adopt Cloud services, as the workforce gets younger. 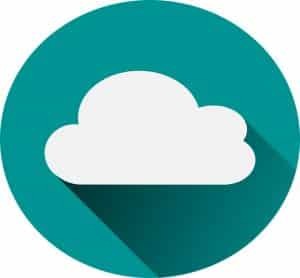 Aside from the benefits that Cloud software and applications can have on your shop floor, these solutions also tend to be more economical, too. At trade shows that Shop Floor Automations attends, guests are astounded that there is a machine monitoring option that costs a mere $45 per month, per machine! Want more information on how to embrace IIoT on your shop floor? Call us at (877) 611-5825 or fill out a contact form, so we can get back to you.